While the former Liberal prime minister Sir Wilfrid Laurier has been gone for nearly a century, his influence in making Canada great cannot be overstated. 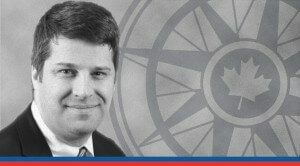 MLI Senior Fellow Sean Speer writes that a new federal Liberal government has an opportunity to revive Laurier’s ideals. This article appeared in the February 2016 edition of Inside Policy. As we here at the Macdonald-Laurier Institute celebrate the year of Sir Wilfrid Laurier’s 175th birthday, it is understandable if some Canadians find our enthusiasm a bit peculiar. 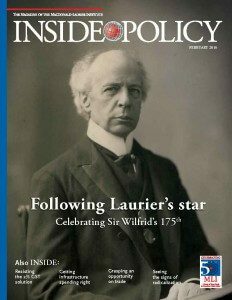 Laurier, born Nov. 20, 1841, has been dead for nearly 100 years after all. In fact, more time has elapsed since Pierre Trudeau was first elected Prime Minister than between his victory and Laurier’s death in 1919. Yet his example of statesmanship and good governance still endure. Laurier and his ideas – freedom, order, and economic and social dynamism – are worth remembering and celebrating. His example of statesmanship and good governance still endure. The positive economic and social outcomes produced by Laurier’s plan are extraordinary. The highest levels of immigration in Canadian history (“nothing like them had been seen before or since” as two noted historians have put); massive increases in trade activity; huge levels of capital formation and business start-ups; a transformation from rural to urban living and an agrarian economy to industrialization. The establishment of new provinces. No wonder Laurier was convinced that the 20th century “would be filled by Canada”, as he famously predicted. But his sureness was rooted in more than economic statistics. It was also based on the certitude of his conviction – a deep understanding that he was an inheritor of the big, immutable ideas of the Western tradition. Laurier’s political philosophy was based on the ideals of the British Liberal Party and its intellectual progenitors John Bright, Richard Cobden and William Gladstone. As well-known Canadian historians J.L. Granatstein and Norman Hillmer explain: “Great Britain was Laurier’s spiritual home. He admired British institutions, ideas, and literature, Britain’s political tradition of individualism, and its legacy to Canada of liberty and tolerance.” Laurier, in short, was a classical liberal. And what does that mean? Classical liberalism emerged in reaction to the collapse of feudalism in the 17th and 18th centuries. It was a worldview that rejected hereditary privilege and, in its place, set out a vision of natural rights and an emphasis on individual freedom in social, political, and economic life. 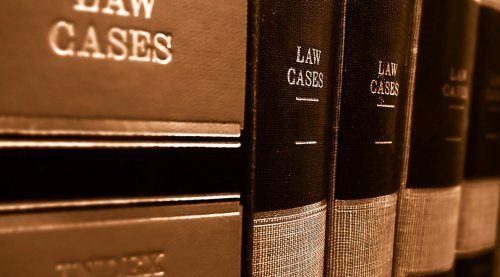 The corollary was a vision of a limited, representative government bound by the rule of law and justice that sought to maximize freedom in all spheres, including the marketplace. Classical liberals believe that wealth is best created by the mutual cooperation of individuals through the spontaneous order of the free-market economy and that property, trade, and markets are the foundations of economic dynamism. This primacy placed on the individual and the presumption of freedom are its central principles. These ideas were at the foundation of Laurier’s vision for Canada. As one historian has written: “He believed that nothing was more important than the right of the individual to be free to think and act independently without interference from powerful forces such as governments or religious institutions.” It is from this intellectual wellspring that he drew his political dictates and brought Canada into the 20th century. Laurier’s ideas lost some appeal over the course of the century. Classical liberalism ceded its dominant position in Canadian politics to more collectivist and centralizing impulses. Crowley’s other major book, Fearful Symmetry: The Fall and Rise of Canada’s Founding Values, documents the modern departure from Laurierism and the deleterious consequences. Government grew. Taxes went up. Economic freedom was restricted. And we were poorer for it. But fiscal arithmetic caught up with us in the 1980s and 1990s. 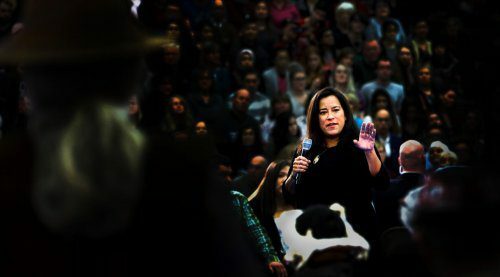 Politicians across the country representing different political persuasions were compelled to rediscover Laurier’s lessons. It was a “Redemptive Decade”, as Crowley calls it. Total government spending fell from 53 percent of GDP in 1992 to 39 percent in 2007. The federal debt-to-GDP ratio shrank from 68 percent in 1996 to 28 percent in 2009. And the federal tax burden began to fall as successive governments reduced taxes. 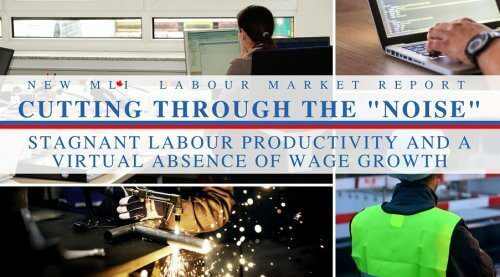 The result was a period of sustained economic growth, job creation, and wage increases. Simply put: Laurier’s prescriptions still worked. This strikes us as a good reason to celebrate his birthday and promote his ideas. In fact, that is a big part of what the Macdonald-Laurier Institute is all about. The institute takes part of its name from Laurier because he, like Macdonald, represents the best of Canada’s distinguished political tradition. 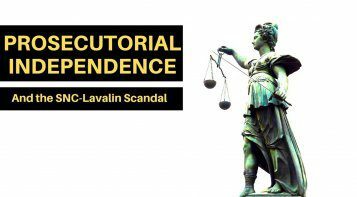 Our mission – to make poor quality public policy unacceptable to Canadians – is partly inspired by the lessons of Laurier’s successful prime ministership and the positive outcomes associated with his rediscovery in the Redemptive Decade. Fortunately, then, a fresh revival of Laurier may soon be upon us. The new government’s promise of “sunny ways” channels Laurier’s message of hope and optimism. 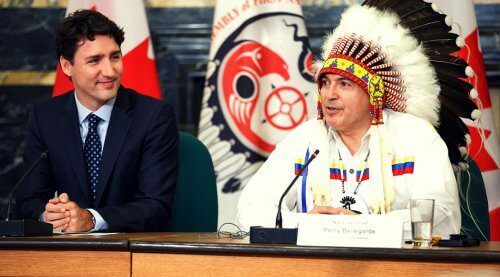 And Justin Trudeau has called Laurier his second favourite Canadian Prime Minister. We will see to what extent the government draws from his ideas and prescriptions in addition to his rhetoric. Our new essay series, From A Mandate to Change to A Plan to Govern, has shown how Laurier’s ideas – on economic opportunity, immigration, and federalism for instance – remain relevant today and can actually help the government achieve its ambitious policy objectives. 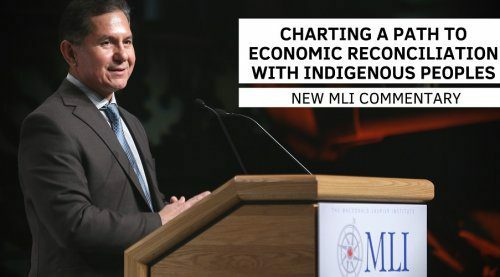 The goal of the series to assist the government in developing an agenda that can prove Laurier’s prognostication about a Canadian century accurate for the 21st century. His ideas and his optimism about Canada’s prospects endure. Fortunately, then, a fresh revival of Laurier may soon be upon us. And so that is the reason that we are keen to celebrate his 175th birthday. Laurier was a remarkable Canadian who endowed us with a great political tradition that has helped make Canada one of the world’s leading democracies and a place where people may live in peace and freedom under the rule of law. It is quite a legacy. Canadians are thus welcomed to join us in raising a glass to old Laurier. Sean Speer is a Senior Fellow at the Macdonald-Laurier Institute.